For the first edition of Into the Bears’ Den of 2017, our writers share their NBA surprises, disappointments and new year’s expectations. This week, Parker Fleming, Jakob Eliason and Ryan Schmitz share their surprises and disappointments in the NBA at the start of 2017. What else could we expect in 2017? Toss our writers a follow on Twitter for their hot takes on all things NBA basketball. Parker Fleming (@PAKA_FLOCKA): Houston Rockets. Before the season started, I said that the Rockets had the makings of a 41-41 team. Boy, was I wrong. Right now, they’re sitting at 3rd in the Western Conference. In addition, they’re launching three’s at a record-setting pace. Behind the MVP play of James Harden and the resurgence of Eric Gordon, they have put the NBA on notice and could challenge the Warriors in the spring. An easy choice is the Rockets. I don’t think anyone was expecting a new coach to have the team become top-four in the West. I still thought they had the talent to become a playoff team. On the other hand, I wouldn’t have seen the Kings in the playoffs at the moment. 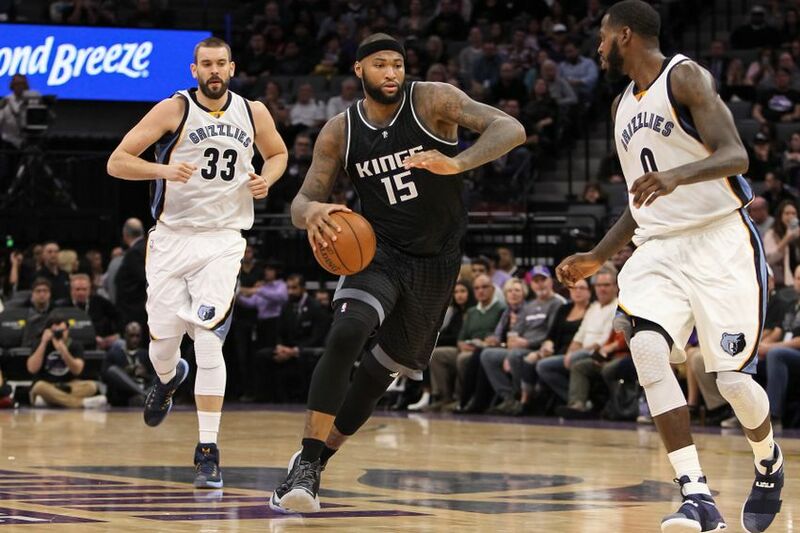 If Demarcus Cousins can keep his cool, the Kings could possibly make the playoffs, erasing the curse around that team. This team still seems like a ticking time bomb, which surprises me even more that they are in playoff hunt. Honesty hour: who expected the Hornets (previously Bobcats) to be Eastern Conference contenders? Nobody? Nobody. I’m a big fan of Frank “the Tank” Kaminsky, but that doesn’t mean that I expected them to be 19-15 and leading their division. They’re also the best rebounding team in the NBA, led by Nicolas Batum, Michael Kidd-Gilchrist and Cody Zeller. No, this is not a homer answer. 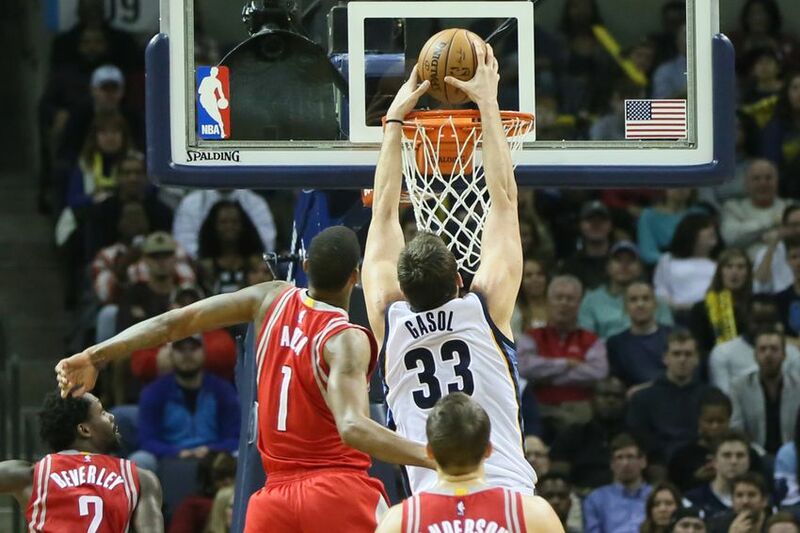 Did you think Marc Gasol would be launching 3s at a 40-percent clip? Or, that he’d be averaging 20 points a game after his foot injury? 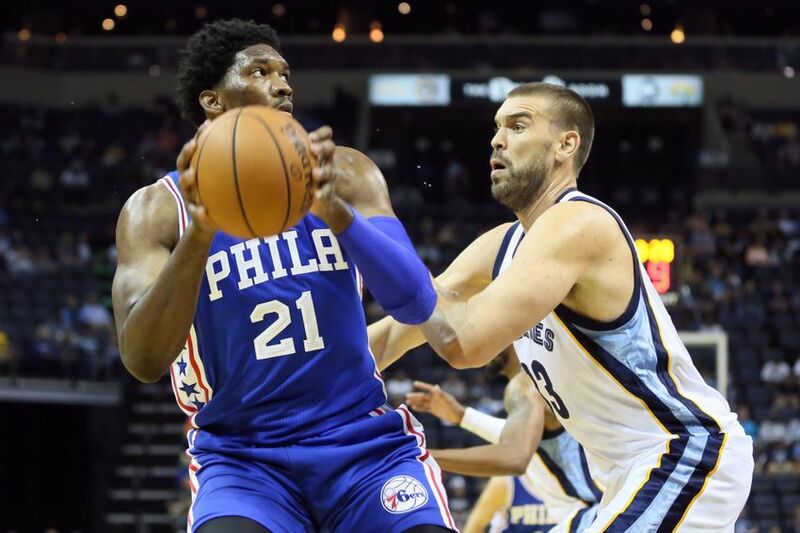 Thanks to Dave Fizdale, Marc Gasol has reinvented his game and looks like a top-3 center, again. 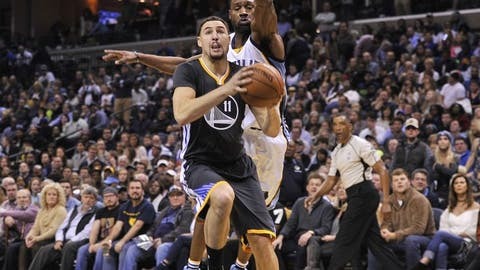 Because of his MVP-level player, the Grizz survived their time without Conley, going 7-2. Gasol must stay consistent and aggressive in order to take the Grizzlies to the Promised Land in 2017. Kevin Love has finally produced like he was supposed to when they traded the highly touted Andrew Wiggins. The Cavs have made it a priority to get him started early in games. Love seems to be a player that needs some points early to keep the confidence high (Remember the 34 points in the first quarter? ), and it has paid off. Love averaging 22 points and 11 rebounds might be enough to keep them on par with the Warriors. Look, the man is 7-foot-1 shooting 41-percent from behind the 3 point line. Have you watched him shoot? It’s effortless. The ball glides from his hand through the hoop in weightless fashion – it’s majestic, man. Assuming he makes the cut (because, duh), Marc will make his THIRD All-Star appearance in NINE seasons. Yep, that’s a 33-percent success rate. Impressive for a center who’s spent his entire career in Memphis, right? The expectations, man. After surprising the entire league last year, they’ve been free falling down the standings. The Blazers have dynamite scorers in Lillard and McCollum but a league-worst defense. After locking up their core and adding Evan Turner and Festus Ezeli, many, including myself, saw them as a possible 2 spot out West. Now, they’re a team that has glaring issues. I was hoping no one would remember this, but I had picked the Blazers to potentially be the second seed in the West. Is there still a chance? Yes. Do I feel confident about it now? Hell no. 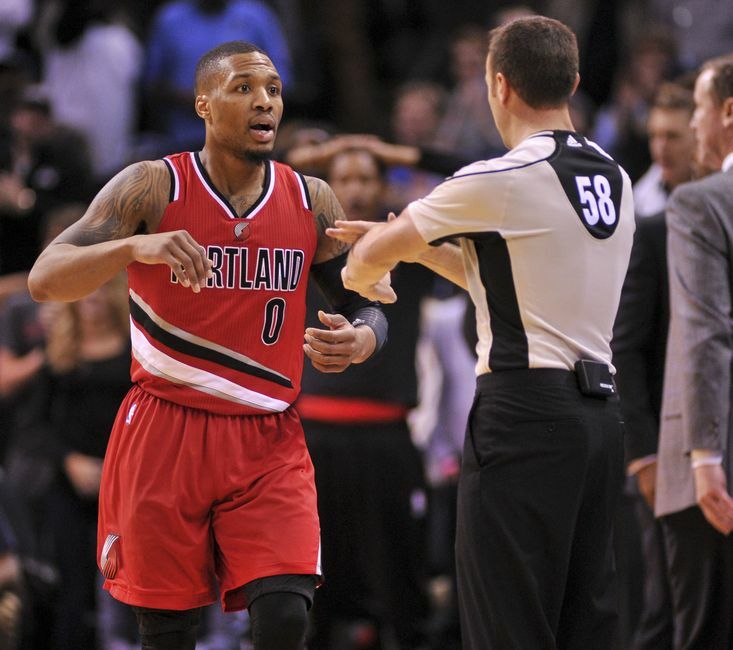 Blazers went 1-10 in a lone stretch and top teams just do not do that. After Frank Vogel’s departure to Orlando, and the Teague/Young signings, the playoffs were practically a done deal. Wrong. Indiana is 16-18, comfortably seated 19th in the East. In their division, they fall behind Cleveland (duh) and the Bucks. If things don’t get better… where does PG13 end up? Russell has a sky-high ceiling, but many people expected him to take that next step this year. Well, it hasn’t happened yet. Maybe it’s due to Nick Young and Lou Williams’ big scoring roles, but D’Angelo Russell is only averaging 14.6 points points and 4.6 assists. It’s tough to generate points and assists with two heavy isolation players. I guess we have to wait for the D’Angelo Russell’s NBA takeover just a little bit longer. After reading the breakup between Parsons and the Mavericks, I was worried that maybe the Mavericks were on to something with his knee. After he re-aggravated it again, I became even more worried. 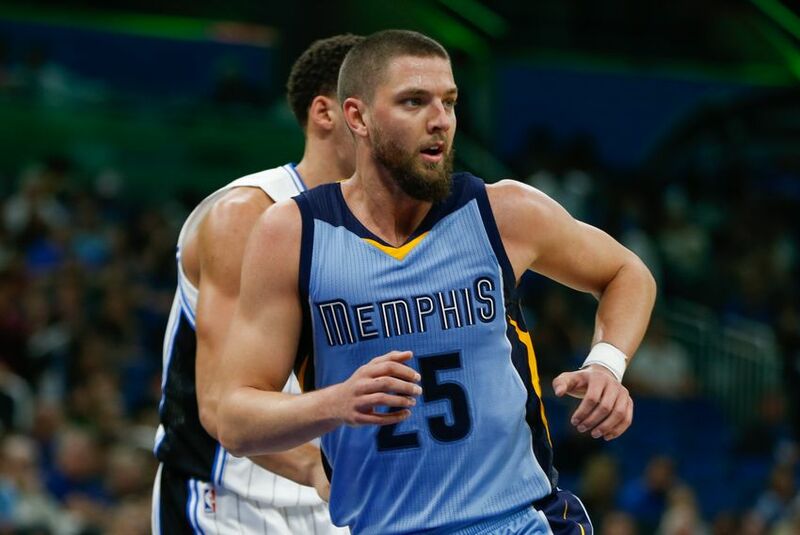 I was expecting this to be a huge acquisition for the Grizzlies, but he has yet to see playing time consistently on the court. I think he can change that, but I hope his knee stays healthy. I couldn’t decide, so my executive decision was to be disappointed that I can’t watch Tim Duncan anymore. ???? Parker Fleming: Some exciting basketball in Philadelphia. The NBA has seen “The Process” rise through the center ranks, already. However, that isn’t even it for Philly. Number 1 pick Ben Simmons will be returning soon. Nerlens Noel or Jahlil Okafor should be traded for a point guard or a wing. In addition, thanks to the Lakers, they could have two lottery picks in one of the deepest drafts in recent memory. Simmons-Embiid is already a great duo to build around. Imagine if they add a dynamic point guard (Markelle Fultz, Lonzo Ball or Dennis Smith Jr.) and a microwave scorer (Malik Monk). They would have the best young team in basketball (sorry, Minnesota), and it would surely be sunny in Philadelphia. I think this year’s playoffs will be more competitive than they have been in recent years. The top 4-teams in the West are all capable of beating each other. Now add Russell Westbrook taking over a series, the Grizzlies keeping every game close and stealing them, or if the Blazers can turn it around and use their depth to affect teams late in season. The East is getting slightly better as well, and maybe the Raptors can finally take the Cavaliers. I’m excited and expecting a lot of 6 or 7 game series. LeBron James is the greatest player to ever play the game. He proved that last year, and he’s making it clear again this year. Kyrie Irving is making a statment as Bron’s right hand man. The 2017 NBA story has “Believeland” written all over it, as Cleveland continues to coast (and I truly mean ‘coast’) into the Finals again.